Shadows and Spellcraft has your copy of Expelled Reaper by Sadie Moss plus over a dozen more reads at the amazing pre-order price of $.99! Order your copy today! 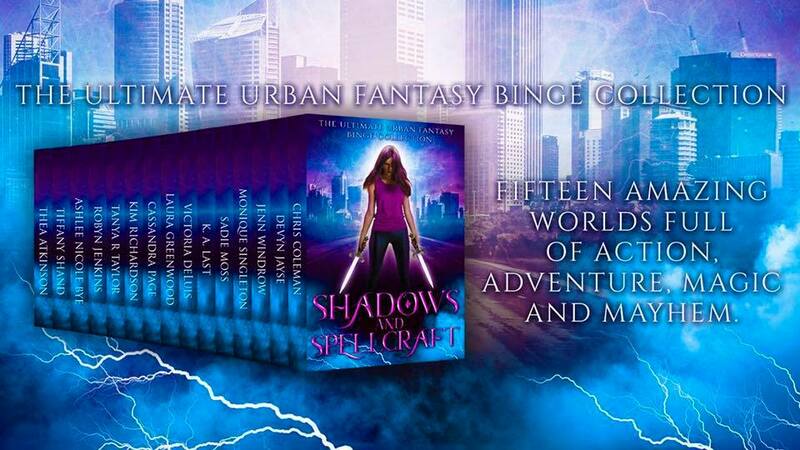 My name is Lana Crow, and I’m one of the Blighted—a non-magical person in a world ruled by magic. There aren’t many chances to get ahead when the people in power think you’re trash. So my boyfriend Corin and I steal for a living, hoping to one day buy our way out of this dusty Blighted settlement in Wyoming and into a better future. And then it falls in our lap. The perfect score. A ruby the size of my fist. Sure, stealing from the magically Gifted is always a risk. But some risks are worth taking, right? Sadie Moss is obsessed with books, craft beer, and the supernatural. She has often been accused of living in a world of her own imagination, so she decided to put those worlds into books. When Sadie isn’t working on her next novel, she loves spending time with her adorable puppy, binge-watching comedies on Hulu, and hanging out with her family. She loves to hear from her readers, so if you’d like to say hi, feel free to email her at sadiemoss.author[at]gmail[dot]com. Is “six feet deep” really deep enough? Click Here to view my latest newsletter.